Here is used alcohol from a mixture of wine alcohol and marc as the alcoholic base. As the 19th Century practice, Absinthe Brevans is coloured using natural herbs. 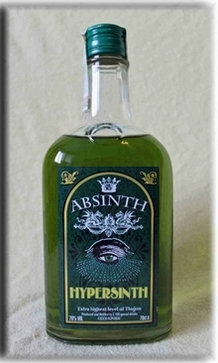 The result is a sophisticated, authentic absinthe, which existed in the early 19th Century. Mixing ratio: You should enjoy Absinthe Brevans H. R. Giger best with cold water without gas in a mixing ratio of 1:2 to 1:5.